The DBA teams asked if I could create a job in our maintenance routines to do a native backup of the master database instead of a Litespeed backup. Their reason was they weren't able to restore master using Litespeed because the database server had to be in single-user mode to do such a restore and Litespeed required two connections to the server to do the task. I mentioned that there are instructions in the Litespeed help files for a master database restore. I took a backup of the master database at 9:44 AM. Next, I created a login on the server after the backup called ThisLoginWillNotBeHereAfterMasterDatabaseRestore to prove the master database restore did in fact happen. This login will no longer exist after the upcoming master database restore because it was not captured by the backup taken at 9:44 AM. I stopped the SQL Server services for the instance. 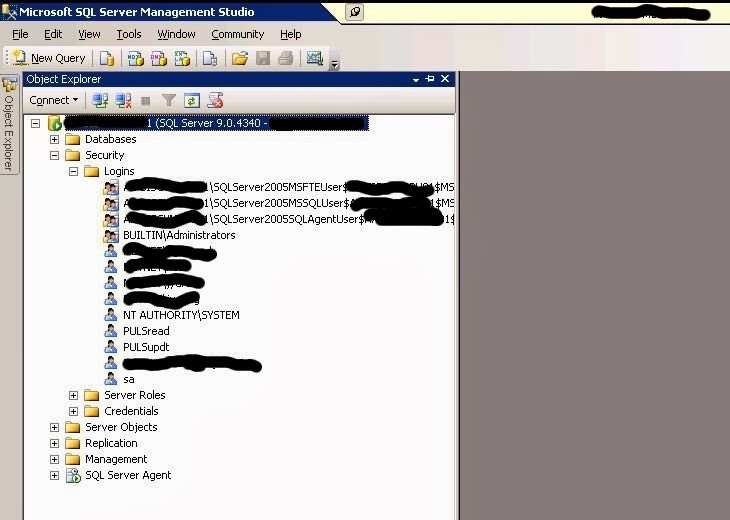 Either SSMS or SQL Configuration Manager can be used to stop the services. When you stop the database instance, the corresponding SQL Agent will also be stopped. I started the database instance in single user mode in one command window. The instance has started in single user mode. I open a second command window and ran the database restore command. The restore runs successfully in seconds. Additional messages are written to the first command window and the command prompt returns. I restart the database instance using the SQL Configuration Manager. 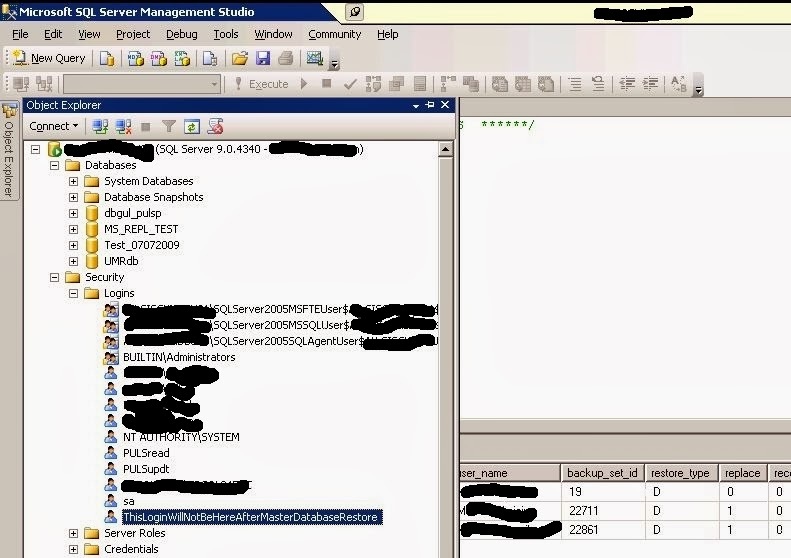 I start SQL Server Management Studio to find the login created after the backup no longer exists proving the master database has been restored. The database restore was completed in a few seconds. The entire process probably takes less than 5 minutes.